Having a team to do list is an excellent way to increase productivity and ensure that all tasks that your team has planned get done on time and on schedule. 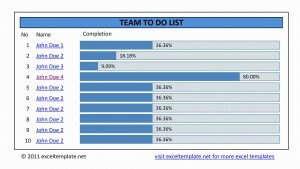 A team to do list excel template is an excellent tool for a wide variety of reasons and it can make planning a list and completing all of the tasks on the list very easy. By having a to do list for your team, you can rest assured that you will be well organized and that all of your teams tasks will be very well organized and very well executed. 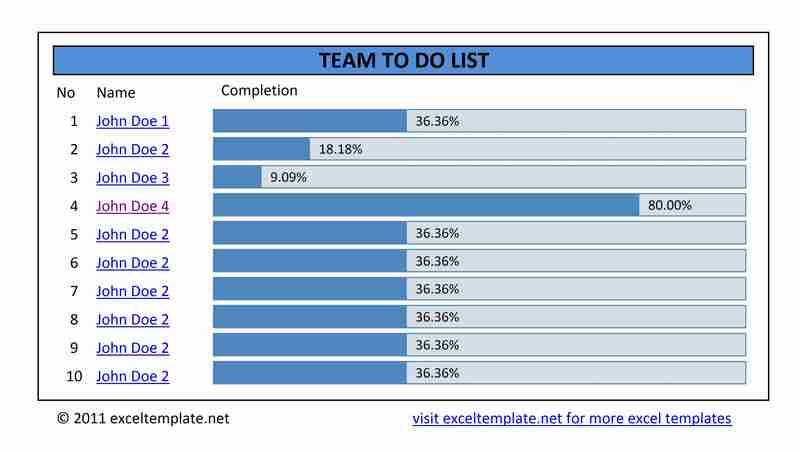 One of the key benefits of having a to do list template for your team is the ability divide tasks up among your team members. Dividing tasks up among team members and keeping them well organized so that each team members knows their tasks and the goals that they are going to complete is an excellent way to keep everything on track and on schedule. Having a template that offers an easy to do list is a great way to make an easy to follow and very easy to use list. Instead of complex lists which can be confusing and leave people completing the wrong tasks, an easy to follow and easy to use list makes knowing and completing each and every task on the list very easy. Each team member will be able to have all of their tasks and goals very well organized. Organization is one of the keys to success and a great template for a to do list gives each team member the ability to have their tasks well organized by time, date, task description and completion.